It's finally here!! This weekend is RED ROCK RENDEZVOUS!!! Hopefully you are watching these videos on your phone and you are getting ready for your first clinic of the day. If you are watching from home, you are missing out on an awesome time. The videos this weekend will give you a glimpse into what the Rendezvous is all about. This first video will give you a great preview of all the cool activities that go on during the Rendezvous. Our next video highlights a new climber in one of the introductory Learn to Rock Climb clinics. The Institute has been helping climbers achieve their goals in Red Rock for a long time. This video shows all the cool programs and activities that we offer there. 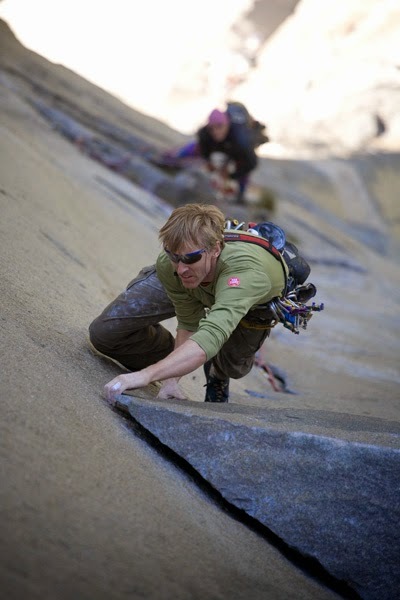 American Alpine Institute - Red Rock Climbing from John Grace on Vimeo. If you are at the Rendezvous, be sure to come by and say hi at our booth. We've got some schwag to give away, so be sure to mention that you saw this in the blog! If you didn't make it to Rendezvous, we'll have lots of guides in the area for the next couple of weeks, so give us a call to set up a personal climbing clinic of your very own! The first video this weekend is a little something to get you motivated. This 54 year old man just broke the Guinness World Record for pullups in a 24 hour period. Can you guess how many he did? Candide Thovex has been throwing it down this season. If you're ready to enjoy some of his twin-plank masterly, grab yourself a beverage, super-size this to "full screen" and get ready to enjoy Candide's latest full-length feature, "Few Words." Sometimes it is the simple things that really get people excited. Here's a quick bit of wisdom to help get you going. Stone Wisdom from Christian Lavery on Vimeo. We've been getting a lot of calls recently asking about the conditions on Mt. Baker. With the dismal snow down low and the closing of ski resorts, folks are worried about how this summer will be with the lack of snow. Honestly, I'm a little worried too, but I'm going to hold off passing judgement until we see how these next couple of months pan out. Throughout the winter, the snow levels have been relatively high, and all the rain that we've received down low has still been snow up high in the mountains. It's just that we didn't get as many of those rainy/snowy days as we are normally accustomed to. Currently, it is nuking up high on Baker and Shuksan. Our final video for this weekend is from Monday when a couple headed up to the White Salmon Glacier on the northeast side of Mt. Shuksan. It's not as good as what we'd normally see this time of year, but it is better than most people think. Stacy Bare was the keynote speaker at the Association of Outdoor Recreation and Education Conference in 2014. I've been to several of these conferences over the years, but this is the first keynote that wasn't just interesting...it was important. Stacy's speach about inclusion in adventure education wasn't short or quick and the video I have embedded here is over an hour long. But the content was really important, especially for those of us who work in the outdoor industry. Following a bio of Stacy Bare, followed by a video of his keynote address. Stacy Bare is the Director of the Sierra Club Outdoors Program and a National Geographic Adventurer of the Year for 2014. Prior to working with the Sierra Club, Stacy served one tour of duty in Iraq as a Civil Affairs Team Leader, a tour in Bosnia leading a counter-terrorism team, and spent nearly two years in Angola and Abkhazia as an Explosive Ordnance Disposal Technician. He has spent several years working on issues related to public health and the outdoors as well as increasing access for all people into wild and mild places outdoors. In his spare time, he is a skier, climber, mountaineer, and sometimes surfer. He received his commission into the Army from the University of Mississippi in philosophy and has a masters degree from the University of Pennsylvania in Urban Design, proving yet again, that the best thing to do with an Ivy League degree is take a hike. Stacy is also an ambassador for The North Face and he and his wife make their home in Salt Lake City, UT. In the coming years, Outdoor Recreation Educators have an opportunity to become leaders in the field of Public Health and ensuring we have a fit, healthy, and empathetic country. Shifting demographics and an increasingly more technology oriented client base can either create a defensive posture to try and react to, or we can see it as an opportunity to build and grow our programs. To 'point positive' and build strong, however, we need to change the way we do business to ensure all people, regardless of race, color, adaptive requirements, gender identity, religion, sexual preference, and veteran status feel welcome not just at the trail head, but on the trail. Making the changes required to create such powerful programs may feel frightening and even alienating to your existing customers and clients, however, making programs more accepting and ensuring risk management (physical and emotional) procedures are universal will, in the short and long run, create better programming for your 'average' customer. Looking for help along the way? Check out your student veterans. Here is the official AORE Press Release, announcing Keynote Speaker, Stacy Bare! Please share with friends, colleagues and media outlets! Stacy's keynote was a home run and he delivered an energizing and challenging message for each AORE member and organization. Stacy has been kind enough to allow us to share his keynote on the AORE website for viewing. Take the time now and in the future to capture that spark again, invigorate your spirit and encourage others in your department and organization to check out his talk! In our first video of this weekend, the German wunderkind Alex Megos crushes "Lucid Dreaming," a V15 highball in Bishop, CA. The FA was by Paul Robinson in March of 2010, and the only other repeat was by Daniel Woods in early 2014. For most northwest skiers, this winter has been, well, pretty crappy. But with these long stretches of high pressure and little to no new snow, we're having very spring-like conditions. 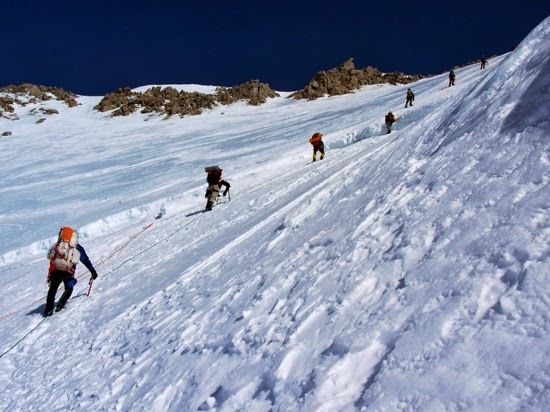 The avy danger has been low, the corn harvests have been good up at higher elevations, and now is the time for some quality ski mountaineering. Jason Hummel, Jeff Rich, Andy Traslin, and Mike Traslin nabbed a plum with this awesome traverse. The Forbidden Traverse from Jeff Rich on Vimeo. Last November Juantxo Pons made the 3rd ascent of "El Gran Bellanco," a 9c (5.14d) in the Pilas Alcalinas cave in Montanejos, Spain. This area near Valencia was popular during the 80's, but recently the Spanish climbing spotlight has shifted toward Catalunya. Juantxo's ascent shows just how great the climbing can be all over Spain. I found the following video with a lot of good little tips for sport climbing on youtube. This film is in no way a complete overview of sport climbing, but definitely gives you a sample of the things that you need to think about when you are starting a pitch of sport climbing. Today I got the big news! After dropping hints left and right, making my case for why it is important to my new career, my personal growth, my social life, and my spiritual wellbeing. Explaining how it would not only make me better at my job but a better individual, a better citizen of this country, and at the very least a better rock climber. I--the new girl in the office--will be going to RED ROCK RENDEZVOUS! For years I have heard the myths and legends surrounding the most infamous rock climbing festival in the country…dare I say world?! Famous celebrity climbers, courses and clinics, a dyno competition, stupid human tricks, rock climbing (obviously) but also mountain biking, yoga, slack lining and if the rumors are true…an epic dance party! I’ve heard that every year it gets better and better. I’ve heard that my whole life I have been missing out. I’ve heard that after you experience Rendezvous life is never the same. I’ve read the stories; I’ve seen the photos. I’ve heard that I’ll come out of the weekend being a solid 5.12 climber. Ok, maybe the last part is a little far fetched but I’m hoping for the best. And now, this is the year that I’ll finally be able to see for myself! Stay tuned to see if the rumors are all true. Now, it’s time to step up my training…not only at the climbing gym but also on the dance floor, the bike, and at the brewery. I may be the rookie at Rendezvous but my excitement is off the charts. Need proof? 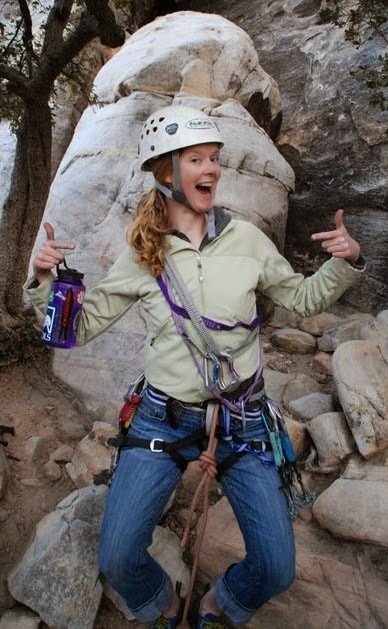 This is how stoked I was to lead my first trad climb in Red Rock a few years ago. See you in the desert at the end of March—if not, I’ve heard you’ll be missing out. 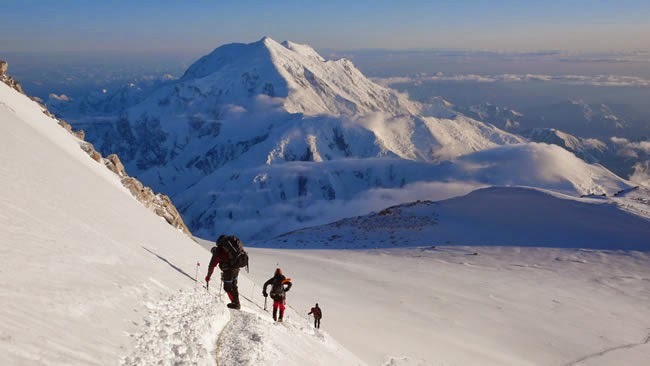 Dawn Glanc set a goal for herself last year to be the first American woman to climb M11. This first video for the weekend shows how she committed herself to her training and showcases what an awesome job she did achieving her goal! Committed from Mountain Hardwear on Vimeo. Another amazing female climber, Alex Johnson hunted the boulders and cliffs of Red Rock Canyon to find this gem and get the First Ascent of a stout V10 called "The Swoop." The Swoop Project from AJ on Vimeo. I know it is technically still winter here in the Cascades, but with all this warm, sunny weather we've been having, it's hard not to want to go climbing. In this video, Jimmy Webb shows off some sweet bouldering in Leavenworth last year. Washington 2014 from Jimmy Webb on Vimeo. This last video is a short by sweet one. Using special rigs and supplemental oxygen, the team from Teton Gravity Research was able to capture some amazing footage of the Himalayas from an elevation of about 20,000'. These are views that are rarely captured and are quite inspiring to an alpinist of any experience level. 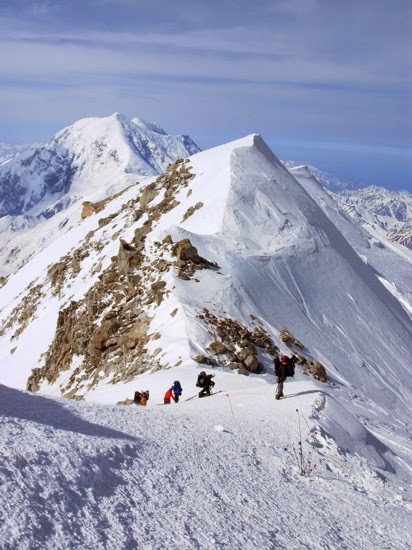 If you are called to climb one of these magnificent giants, Alpine Institute can work with you to meet your goals. We have skills trainings to help you build your experience level, as well as full expeditions to the region. Call or email us for more information. Cams/Nuts: Rust? Frayed cables? Trigger action? Carabiners and Other Hardware: Dings or potentially sharp blemishes that could mess with my soft goods? Good carabiner gate action? Acceptable wear (See photo below)? Soft Goods (Rope, slings, cords, harness): Core shots? Frayed slings? Sun damage(discoloration, or a stiff/chalky feeling)? Especially important to carefully examine Dyneema! Alot of slings will tell you the date they were made- if it was more than five years ago, retire it! If you can't tell whether or not you have a core shot, try to bend the rope in half at the point of damage. If you can, it's a core shot. This sling was retired this year due to fraying and general wear. as a connecting point in a top-rope setting ever again. I remark all my gear every year- nail polish seems to last the longest. The best way to clean your cams is with a large pot of boiling water, a pipe-cleaner, and a teflon-based lubricant. You can buy specialized cam lube from Metolius, but I have equally as good luck with Tri-Flow, a teflon-based bike lube that is easier to find and sometimes cheaper. Boil the business end of your cams, making sure that the webbing isn't put in harms way through touching the stove or being immersed in the boiling water. The next step is to clean the dirt and grime away from the moving parts of the cam. I focus on the axles and springs. Make sure to pull the trigger to get access to different aspects of the axle. The last step is to re-lube the axles. The teflon-based lubricant will keep dirt away from the moving parts and give your cams like-new trigger action. If you can find an applicator tube (Tri-Flow comes with one) that is ideal. Just a drop or two per axle will do. Now your rack is all set for another season of sending the gnar! 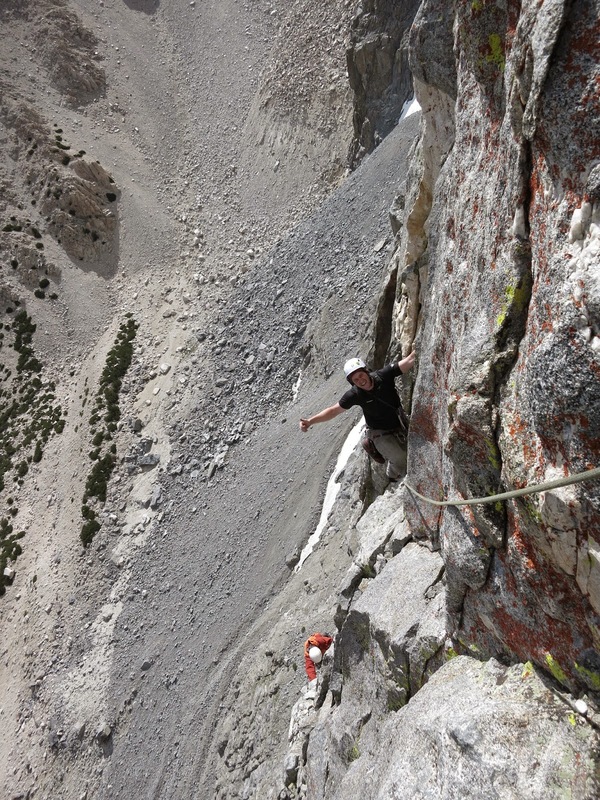 Spend the day with Hans Florine and an American Alpine Institute guide. You can finally do that multi-pitch route in Red Rock you've always wanted to get on! Pick Hans's brain on ways to get yourself out more and cover more ground when doing so. Hans is flexible so if you want to get on a single pitch route or boulder problem and have him work with you on just about any climbing related skill, he is game. Lastly if you have any questions, contact Hans directly at Hans@hansflorine.com. Hans Florine knows speed. He has repeatedly set and broken one of the most coveted speed records in the world: The Nose of El Capitan. In 2012, Hans and climbing partner Alex Honnold took the record again in 2 hours and 23 minutes, lowering the previous record by a full 13 minutes. 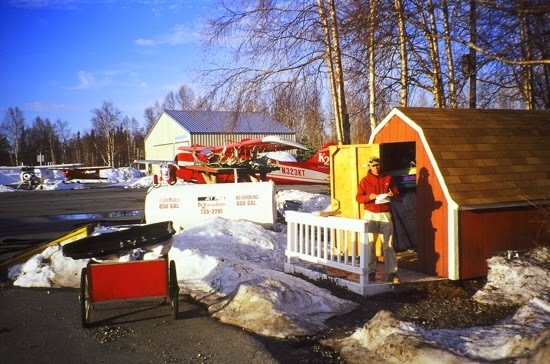 In 2014, Hans set the record for fastest solo ascent of the Triple Direct. He holds several records throughout Yosemite Valley and around the world. Magazine, Master Athlete and more. He is a sponsored athlete for Outdoor Research, KineSYS, Honey Stinger, Petzl, LaSportiva, Blue Water Ropes and NUUN. He is an ambassador for The Access Fund, an active member of The American Alpine Club and supporting member of the Yosemite Fund, Leave No Trace and the South Yuba River Citizens League (SYRCL).